This condo unit is in impeccable condition with neutral tile throughout living areas and marble in the baths. It has been meticulously kept and is in move-in condition. Kitchen has newer appliances, too. Enjoy the lovely view of the ocean and beach from the large tiled balcony. This unit is a two-bedroom convertible with bathroom and closet in the second bedroom/den area. 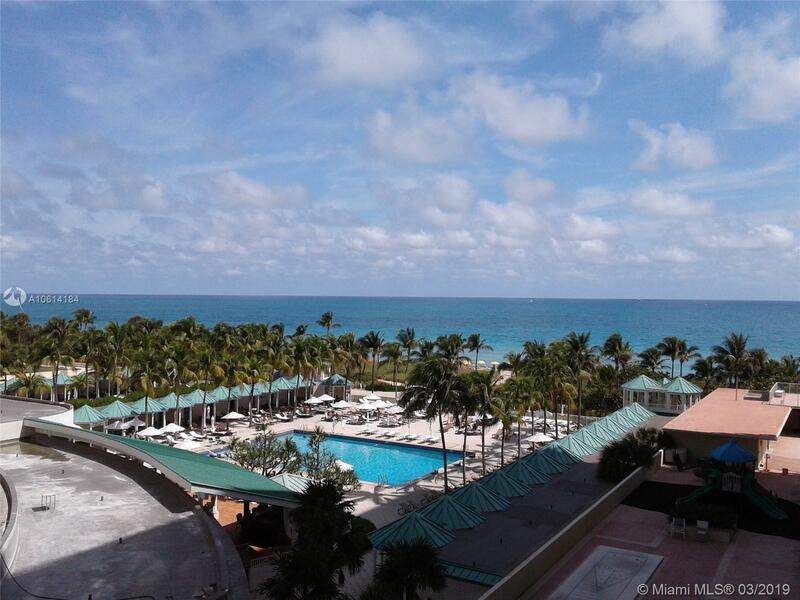 The building is in close proximity to places of worship and directly across from the exclusive Bal Harbour Shops. From valet service, to restaurant, to poolside service and beach attendant, Balmoral is a luxurious beachfront paradise.